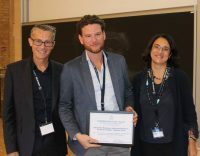 Aarhus, September 28, 2018 – EUPRERA has awarded authors for their excellent research in strategic communication at the EUPRERA annual congress in Aarhus, on September 28. The congress is known as the major gathering of scholars and professionals interested in advancing the profession of public relations and corporate communications on the continent, hosted this year by Aarhus University in Denmark. ““Big Ideas“ Emerging From a Microscopic Perspective. The Why and How of Conversation Analytic Thinking for Strategic Communication” by Christian Schwägerl. Drawing on the theoretical framework of ethnomethodology (EM) and conversation analysis (CA), the paper reflects the majorly deterministic presupposition of “communication“ of this mainstay. CA methodology may detect the specifics of stakeholders’ speech varieties with which they construe and interpret their social worlds. Seeking to accomplish outcomes, strategic communication has to relate to these specifics. Strategizing and evaluating has to be attuned to the microscopic perspective of the reciprocity emerging in communicative processes. The paper closes with the thought that CA’s inductive, strictly data-based fine-grained analyses of the sequential organization of speaker turns elicit this emergence. “The Conceptual Heritage of Public Relations: Using Public Memory to Explore Constraints and Liberation” by W. Timothy Coombs and Sherry Holladay. This article is an eye opener bridging the past and the future, contextualizing key concepts from different perspectives which enriches the reflections both, academics and practitioners, should have while “working” on them. The authors take the right distance and keep a valuable and scientific objectivity when describing from the perspective of “conceptual heritage” how these three concepts emerged and how counter-narratives can (and do) challenge and enrich the dominant one. It is a very dense piece of work summarizing throughout a well-done reflection the academic developments of our field. “Controlling Conversations: The Effects of Moderation Strategies in Online Stakeholder Dialogues”, by Alexander Buhmann, Kateryna Maltseva, Christian Fieseler, Matthes Fleck. 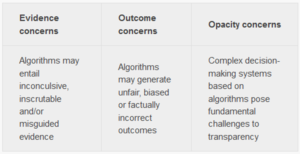 The paper extends recent research on online dialogic strategies by providing evidence of the actual effects of different types of online dialogue strategies on common CSR outcomes, through an experimental vignette methodology. The paper distinguishes between two fundamental styles of moderating online stakeholder dialogues, namely: controlled conversations and crowdsourced conversations. This paper adds to building theory on the dialogic potential of online media by offering insights into the varying effects of stakeholder communication strategies in social media dialogues. “Communicating the Corporate Strategy: An International Benchmark Study in the United Kingdom, the United States and Germany”, by Karolin Köhler, Ansgar Zerfass. Strong methodology offering opportunities for both future academic and practice-oriented reflections. It is very interesting to read about these 3 conceptual approaches: strategic communication, communication strategy and strategy communication, to differentiate, position and embed yours, allowing the conjunction of multiplication as well as conveyance and interpretation. 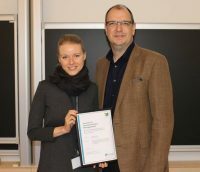 Anne-Marie Cotton from Arteveldehogheschool, Ghent, Belgium who has contributed to careful, thorough and useful reviews.